We leverage internal and external databases to source top talent that meet your job requirements, automating the search and sort process. 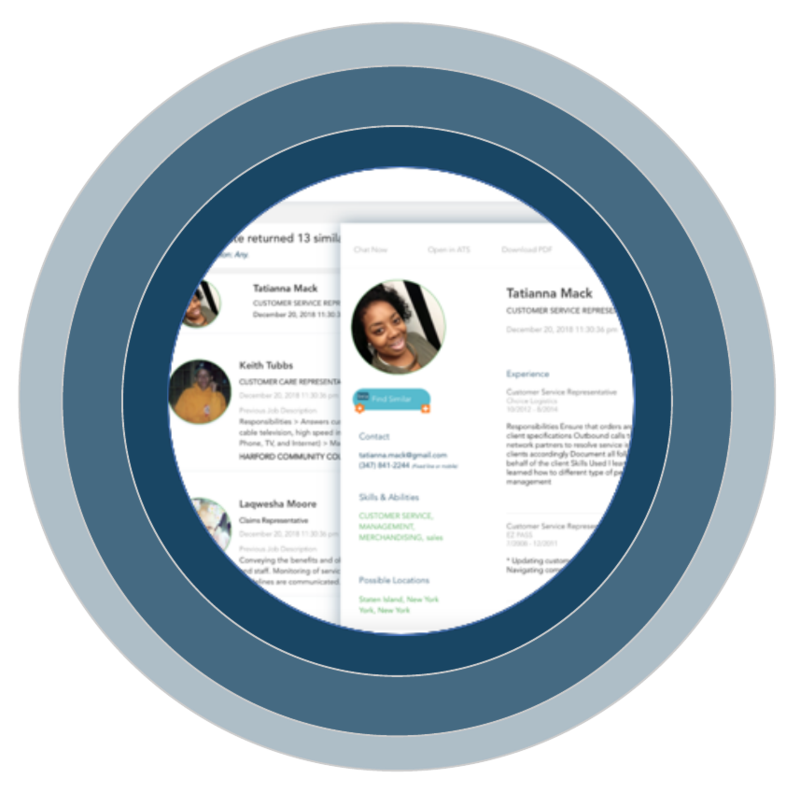 Start with an open position and end with a curated slate of top talent at your fingertips in minutes. 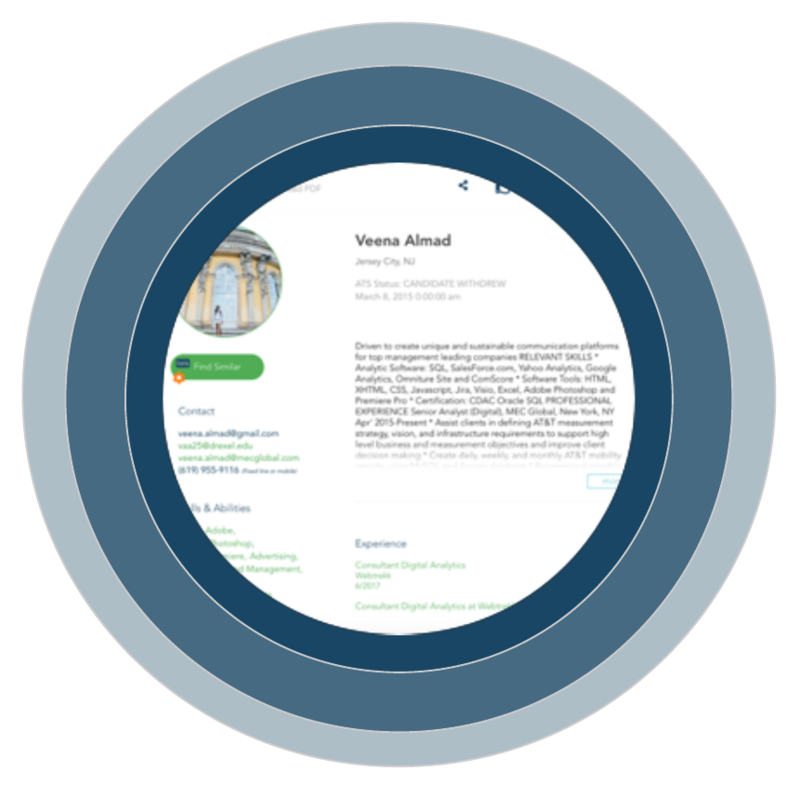 Crowded leverages your licenses with external data sources to get you the top talent who best suit your roles, and automate the whole search process. Why comb through resumes online, when we’ll just send you the best fits? 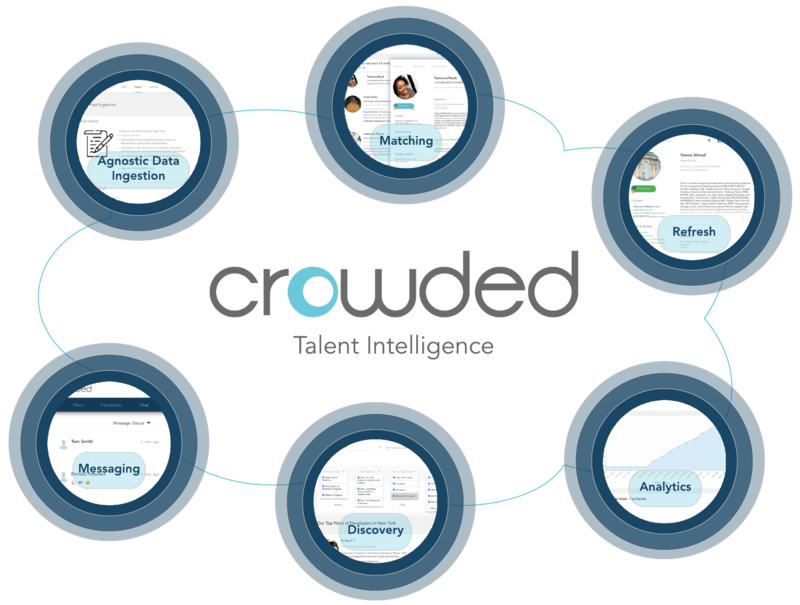 Crowded applies the Talent Intelligence ecosystem of tools to the internally and externally sourced pool of talent attributes. Crowded then curates a slate of the best matches to your requirements. Crowded’s machine learning doesn’t just search for the terms in your job requirement. It understands your requirement and pulls in terms and descriptors you may not have thought of, for exhaustive, intelligent matching. We leverage internal and external databases to source the top talent that meet your job requirements, automating the search and sort process. Start with an open position and end with a curated slate of top talent, ranked by percentage fit, on your screen in minutes. Crowded doesn't care if the data comes from an outdated applicant tracking system (ATS), external data sources, or a folder full of resumes on your desktop. We can sort and parse any information and find the most relevant data for your unique job search. And if you're starting from scratch, we'll pair you with our external data source partners to find the hire you need in no time. We take the talent and rank their skills and experience using machine learning algorithms to ensure that we find the perfect match for your open job. If you're paying for an applicant tracking systems to hold your talent, we can help bring your forgotten applicants back to life. By refreshing the data, we will update each talent’s experience, work history, and even contact info so you have the information you need to make a great hire. Have you ever wondered how your internal team is performing, or wished you had a quick and simple way to visualize which sources give you the top talent? With Crowded's analytics package you be able to answer these important questions and many more with the touch of a button. Be it within your own ATS, or leveraging your existing relationships with outside data providers, Crowded will help you find that "diamond in the rough," the ideal individual to help your company grow and be successful! 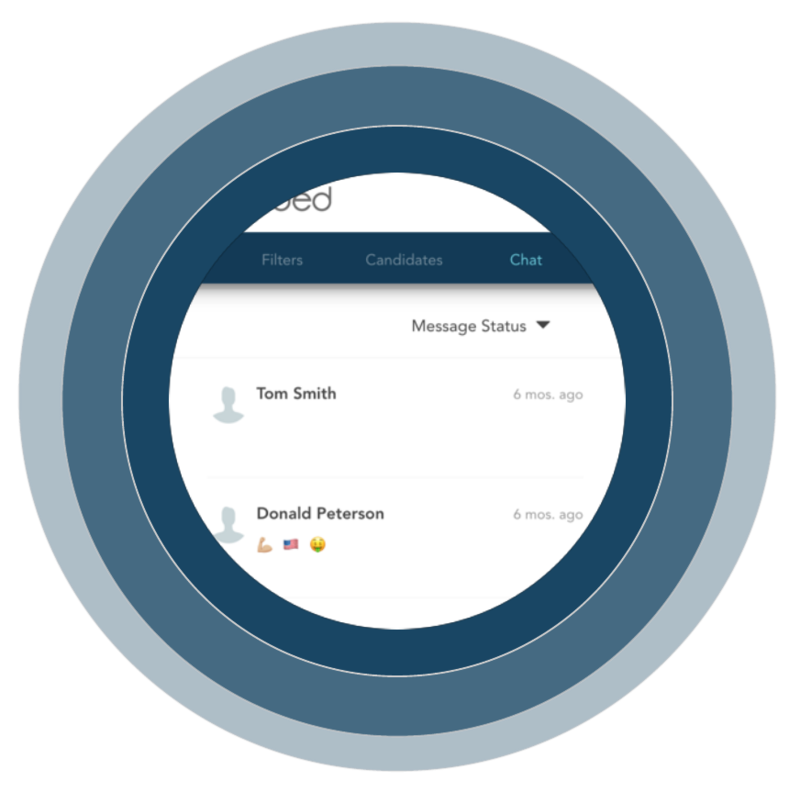 Instead of sending an e-mail no one's ever going to see, Crowded lets you communicate quickly and anonymously with potential talent. Our messaging platform ensures a smooth transition from one mode of communication to the next, and lets you manage your conversations effortlessly. 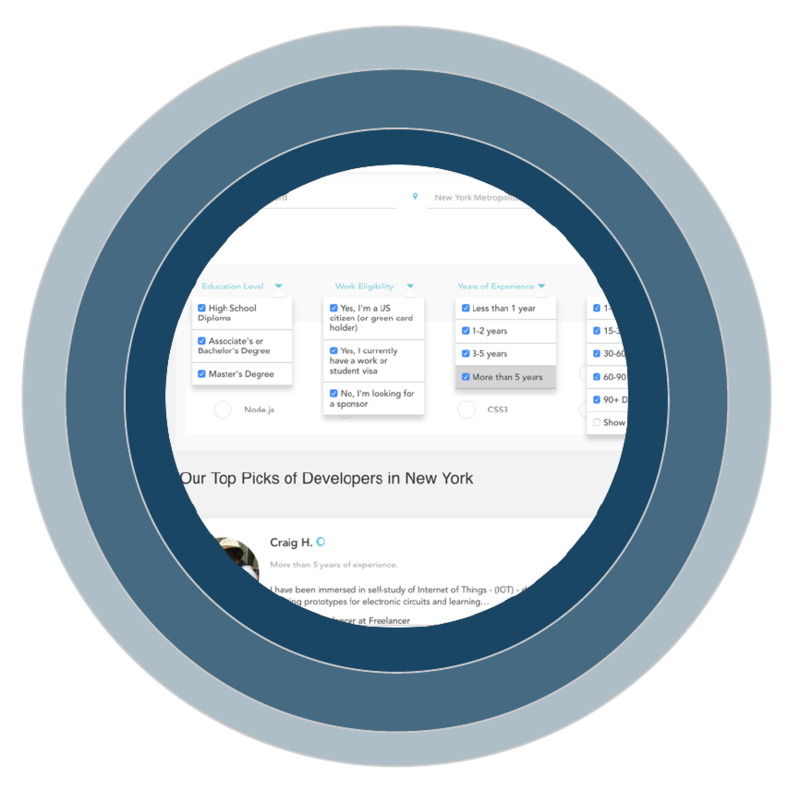 Crowded is an innovative approach to maximizing the investment in candidate acquisition. Not only does it help recruiters rediscover passive candidates, it enables recruiters to easily manage the workflows once a candidate has been reactivated. It's a practical solution to a long-term talent acquisition challenge experienced by every company. I knew there had to be a better way to recruit top talent, thanks Crowded! We've got you covered. 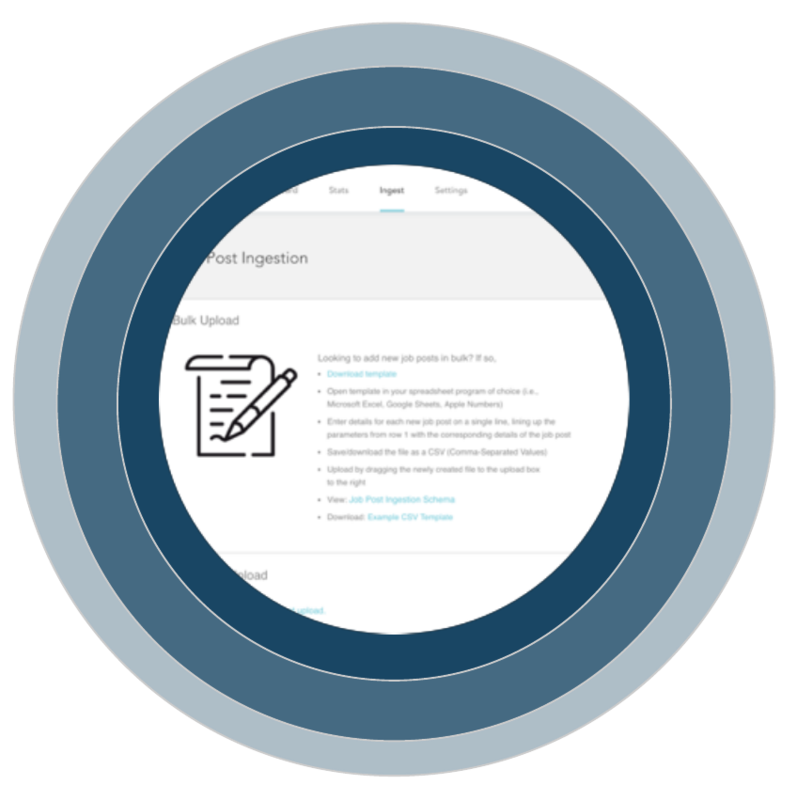 Crowded leverages your licenses with external data sources to get you the talent that best suits your roles and automates the whole search process from start to finish. Why comb through resumes online, when we'll just send you the best talent ranked from #1 to #Do Not Hire? 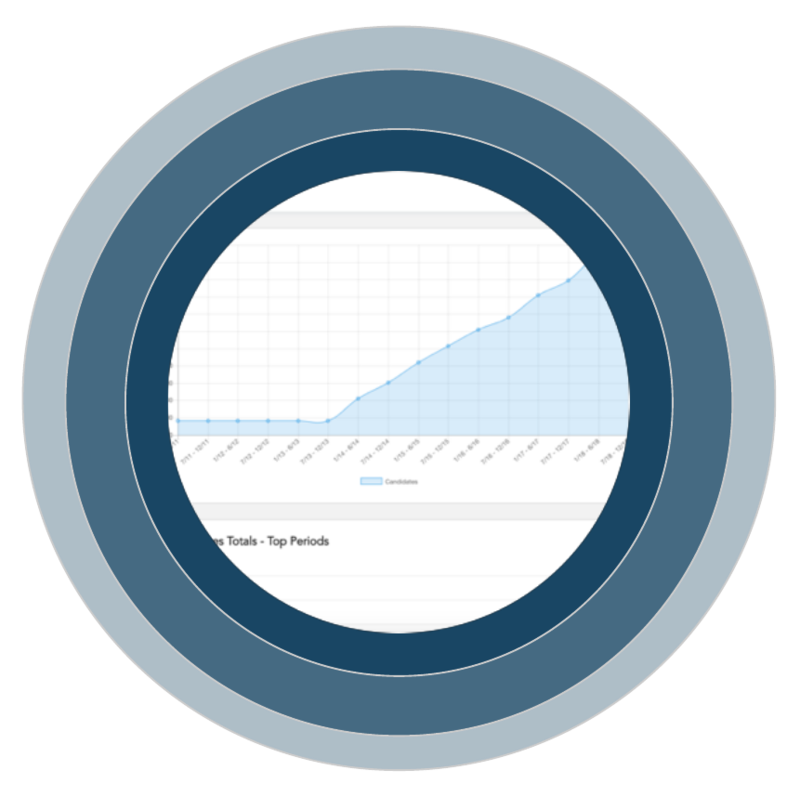 Crowded applies the Talent Intelligence ecosystem of tools to the internally and externally sourced pool of talent attributes. Crowded then curates a slate of the best matches to your requirements. Crowded's machine learning doesn't just search for the terms in your job requirement. It understands your requirement and pulls in terms and descriptors you may not have thought of, for exhaustive, intelligent matching. Recruiters charge a substantial fee to find quality talent. Outside agents are motivated by commissions, instead of what's best for your company. External agents need weeks to return a list of qualified talent, while Crowded can begin to return matches the very same day. An advanced software platform to quickly collect, identify, target and convert talent into successful job placements. Hire better people faster, for less! Whether you need help, have questions about your account, or have a fun success story to share, we'd love to hear from you.